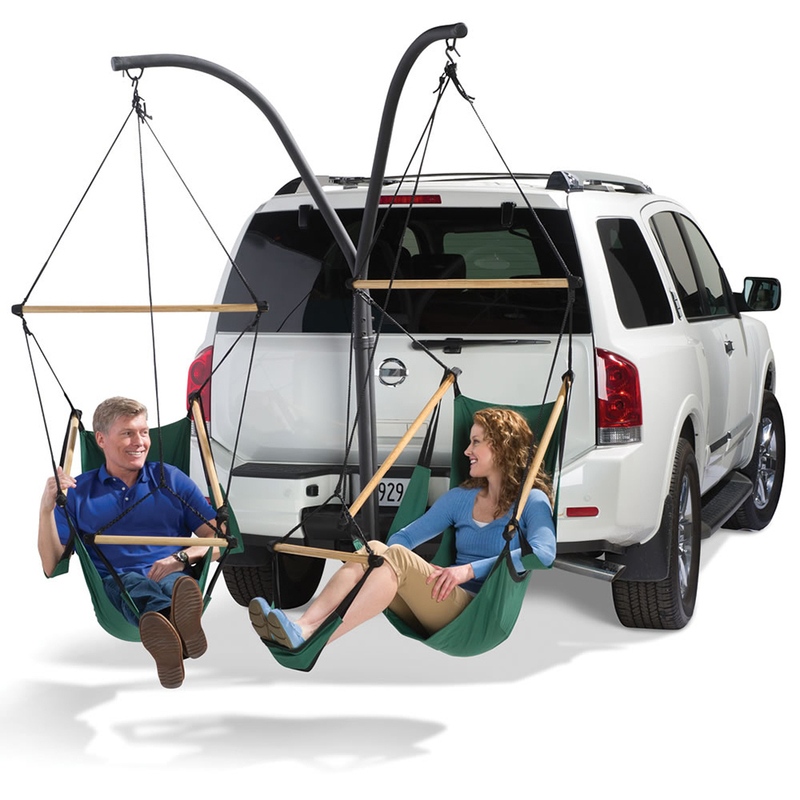 This is a dual hammock that rigs up to your trailer hitch… the perfect hammock for tailgating! You can snag one of your own over at Hammacher Schlemmer for $350. Shoot, this thing coupled with the tailgaters’ toilet seat you got hitched up to your truck tire and you’d never have to leave home! I mean, wait — you’d never need to go home. You wouldn’t even need a home! Think on all the money you’d save!